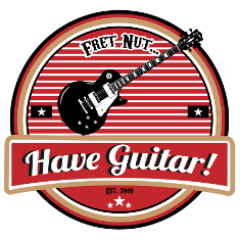 lrs Archives - Fret nut... Have Guitar! Here’s a “bonus” Rig Showcase – Live Ready Sounds The Gentleman! Could it be that LRS is the first profiler to do the Fortin Meshuggah Signature amplifier? I think so! And it’s not only expensive (3333.33 USD!) it is also limited to 100 amps made. Ain’t that crazy?! So I got a hands on tryout of the first release from LRS for this pack and what can I say? Love it. I have no idea how the profiles stands against the original amp as I’m likely to never even be in the same room as one, but the profiles have a great tone – it’s brutal, it’s metal, they djent – and much more! As I’m writing this the pack has not gone on sale yet but it should any day now. Thanks for spending your time with Have Guitar, much appreciated! If you liked the video – feel free to subscribe to my channel, your support is needed! A Big Thanks goes out to all you subscribers – you rock! Time for a closer look at the God of War pack from Live Ready Sound. This is a pack that is based on a KRS Ares 50 amplifier and it brings a long 95 Kemper profiles (8 direct profiles), of course ranging from clear to gain dripping sounds. I’m pretty sure the pack will grow over time and there will surely be at least a couple more updates from Live Ready Sound. The KRS Ares 50 seems to be a really versatile amp with lots of options through voice switching and much more. If you are interested take a look at the detailed description provided by KRS on their website. The link is of found further down in this description. As usual I do hope you enjoyed the video! Feel free to support Have Guitar by subscribing to the channel – it’s free for you and gives me the support I need. To all you who sub – Thanks, couldn’t do it without You!